LEI.INFO is building a global ecosystem for the LEI initiative where multiple companies can share their services and data related to the legal entities. We believe the secret to success is collaboration. As an advocate of LEI for the GLEIF (Global Legal Entity Identifier Foundation), Makolab USA (dba LEI.INFO) builds a global ecosystem for the LEI assignment, so companies can share their services and data related to their identification as legal entities. We are proud members of the Enterprise Data Management (EDM) Council, and Data Coalition and we actively support the initiatives by both private and public sector advocates to provide public information in a standardised, open data format. We work closely with CreditSafe, a global provider of business credit information, to offer business credit checks and online credit reporting about legal entities through LEI.INFO. To enable all corporate entities to obtain their LEI, we are a registered agent with GMEI Utility, a service of BED UV, a DTCC Company. 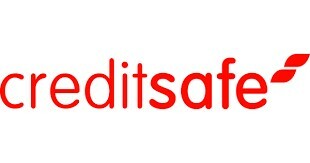 Creditsafe is the world’s most used provider of online business credit reports. LEI.INFO will soon include the Information from this provider for its subscribers. The Data Coalition advocates on behalf of the private sector and the public interest for the publication of government information as standardized, open data. LEI has become one of the pillars of the DataCoalition advocacy. 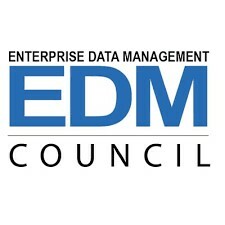 The Enterprise Data Management Council (EDM Council) is a neutral business forum founded by the financial industry to elevate the practice of data management as a mandate for efficient business operations. Business Entity Data (BED) B.V., a wholly owned subsidiary of DTCC, owns and operates the Global Market Entity Identifier Utility (GMEI) is the Legal Entity Identifier (LEI) solution run by Business Entity Data (BED) B.V., a wholly owned subsidiary of DTCC. In its Registration Agent capacity, LEI.INFO is the partner of GMEI. Established by the Financial Stability Board in June 2014, the Global Legal Entity Identifier Foundation (GLEIF) is tasked to support the implementation and use of the Legal Entity Identifier (LEI). The foundation is backed and overseen by the LEI Regulatory Oversight Committee, representing public authorities from around the globe. GLEIF is headquartered in Basel, Switzerland. If you are interested in becoming LEI.INFO partner please contact us.